Valcambi is one of Switzerland's most prominent precious metals refineries, and it silver bars are sought after worldwide, and particularly among European investors. 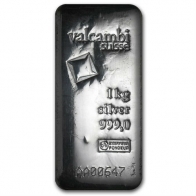 Valcambi manufacture both the 1 KG silver bar and the silver combi bar, both of which are very popular items. 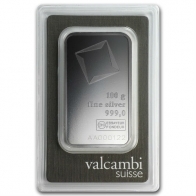 Valcambi also manufacture silver bars for Credit Suisse. All Valcambi silver bars contain a minimum fineness of 999 and come with a Valcambi certificate. 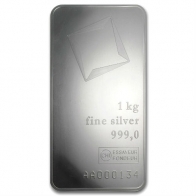 Larger Valcambi bars, such as the 1 KG silver bars, also come with a serial number. 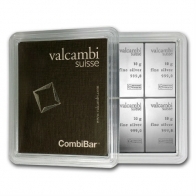 Valcambi silver bars are available for worldwide delivery for for Swiss vault storage, which is VAT-exempt.